Could Draw Jump be your new iOS addiction? Electronic Arts certainly hopes so. Very much in the vein of that other “Jump” game, Draw Jump sends the player hurtling ever skyward, avoiding obstacles and using assists in what amounts to a never-ending score chase. 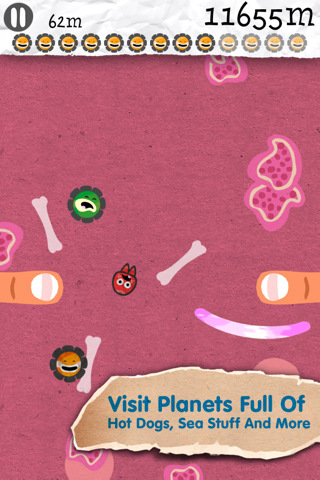 Unlike Doodle Jump, players won’t tilt and turn their device to navigate platforms. Rather, they’ll use their finger to draw their own platforms as they bounce into the sky. It’s a small difference, and if you’ve had your fill of Doodle Jump, Draw Jump may not be enough to keep you interested. However, if you’re not burned out on skyward jumping, Draw Jump is a really nice game. 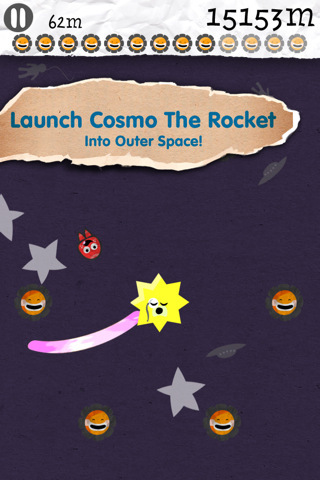 In Draw Jump, you assist your little rocket achieve great heights by placing bouncy platforms below him. To do this, you simply swipe a line, which creates the virtual trampoline. As the rocket bounces ever higher, you can aim it at little power-ups, which are shaped like sunflowers. Gather enough of these sunflowers and receive a powerful boost. Along the way you’ll encounter simple obstacles to avoid, as well as other helpful items that will swing your rocket higher. The game is all about timing and quick placement of the platform, and once you get going you’ll be able to share your high scores with friends via Facebook and Twitter (much to their absolute delight, I’m sure). 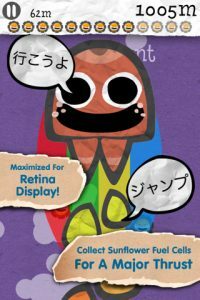 The game is presented very well, with cute and charming visuals, fun music, and helpful instructions to get you started. And that’s pretty much the gist of Draw Jump. There are no further nuances or deep strategy tips to be had. 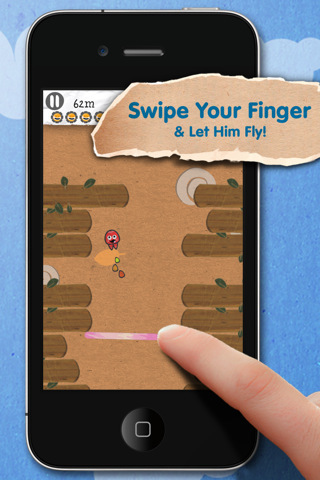 It’s a simple pick-up-and-play game aimed squarely at those who enjoy Doodle Jump-style games. 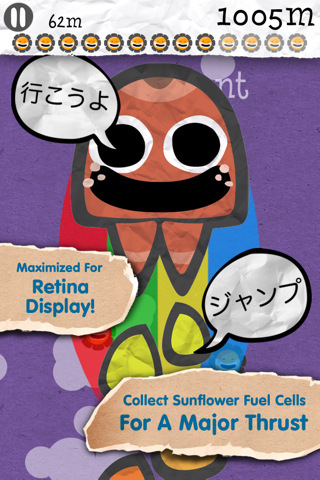 Bottom Line: Although highly derivative, Draw Jump is cute fun and good for a quick play. Draw Jump is compatible with iPhone, iPod touch, and iPad. Requires iOS 3.0 or later.